judge has ruled that the County of San Diego’s climate action plan must be set aside and redone, a decision that could have far-reaching implications for the housing industry. al Plan because it allows developers to purchase off-site credits anywhere in the world to mitigate greenhouse gas emissions caused by local developments. The General Plan, the judge said, clearly says developers must reduce emissions within the jurisdictions where their projects are being built. “The 2018 (Climate Action Plan) appears to the court to be an attempt to address (Greenhouse Gas Emission) reduction with a window-dressing pronouncement of policy suggesting aggressive action, but the devil is in the details,” Taylor said in his final ruling issued Monday. “And here, the details allow the bold policy pronouncement to be emasculated by the unfettered access to out-of-region credit purchases. 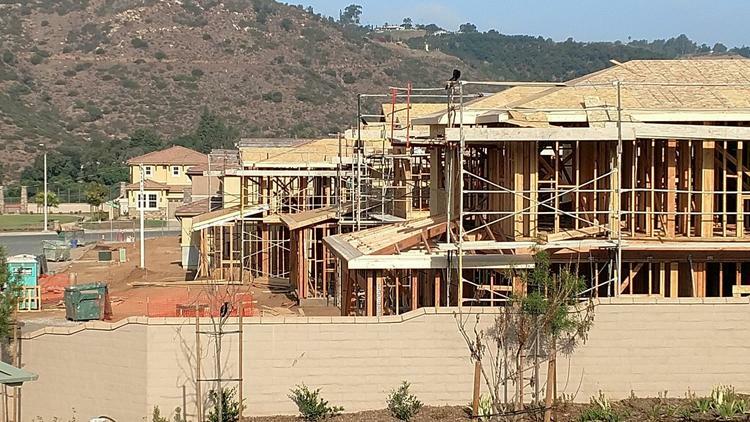 The ruling is being decried by the building industry, which says it further complicates efforts to build badly needed homes in the unincorporated parts of the county at a time when the region is experiencing a serious housing crisis that threatens the future of the local economy. A spokeswoman for San Diego County, which repeatedly argued that the use of offsets anywhere in the world should be allowed because greenhouse gases don’t stay local, said they are “disappointed” in the court’s decision. Carbon offsets, bought through online storefronts known as registries, can fund everything from land conservation to sustainable agriculture and logging practices. Roughly 10,000 new housing units in seven developments located throughout the county have been designed using carbon offsets. Those credits would account for nearly 80 percent of project emissions, almost exclusively from car and truck pollution. The impact of the ruling, which could be appealed, will largely depend on how the county chooses to proceed. The county could place an indefinite hold on numerous large housing projects proposed for the unincorporated parts of the county that rely on similar provisions of the climate plan to mitigate emissions. Some of the projects that could be put in limbo include the Lilac Hills Ranch project in Valley Center and the Warner Ranch project in Pala. However, it will be up to the county to decide the next move and the judge did not specifically prohibit the large projects currently in the planning pipeline from going forward. Opponents of large developments in the rural and semi-rural parts of the county fear the county will instead continue to process General Plan Amendment requests in the coming year. Attorney Josh Chatten-Brown, representing the Sierra Club, which challenged the county’s plan along with the Golden Door luxury spa, said the judge was unwilling to place a wider injunction on projects that were approved this past year or on ones that could come before the supervisors in 2019. Chatten-Brown said should the county decide to process and approve applications, the developments will have to each be litigated separately. Judge Taylor said in his ruling that the Sierra Club’s position is that most of the projects are using the now invalid mitigation measures, but claim not to be based mainly on a few simple word changes. All rely on off-site carbon credit purchases. The judge said he has faith that the issue will not go unnoticed by other judges asked to rule on ongoing and future cases. Taylor said several projects approved earlier this year can move forward. They include the 2,135-home Newland Sierra development north of Escondido and the Harmony Grove Village South (453 units) and Valiano (377 units) projects in Harmony Grove. Those projects are the subject of separate lawsuits seeking to overturn the Board of Supervisors approval and themselves are on hold until such time as that litigation is complete. Approval of the Newland Sierra project is also the subject of a March 2020 countywide vote. “We anticipate that Judge Taylor’s decision will deal yet another blow to home building by further delaying or potentially blocking critically needed rental and for-sale housing,” Winckel said in a statement released Wednesday. The county has had two previous incarnations of its climate plan rejected by the courts in legal battles with the Sierra Club dating back to 2012. The county has been forced to pay roughly $1 million in legal fees so far. This was written by J. Harry Jones for The San Diego Union Tribune. To see the original version of this article, please click HERE.